A NEW FRONTIER Before the Large Hadron Collider accelerated lead atoms, only protons and atomic nuclei had zipped through the particle accelerator. Not content with protons and atomic nuclei, physicists took a new kind of particle for a spin around the world's most powerful particle accelerator. 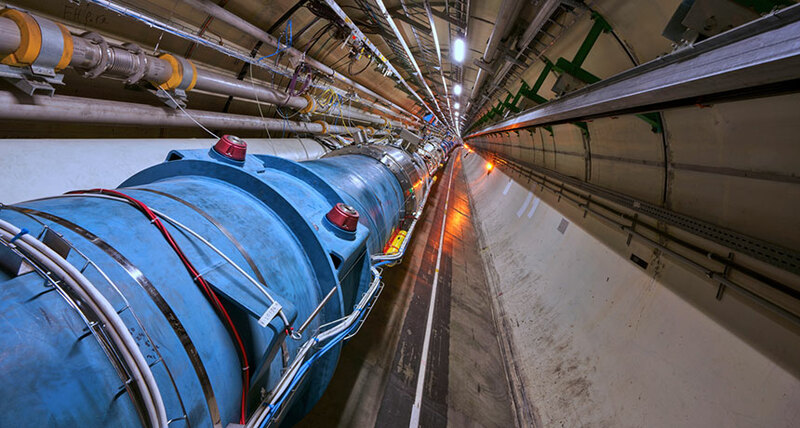 On July 25, the Large Hadron Collider, located at the laboratory CERN in Geneva, accelerated ionized lead atoms, each containing a single electron buddied up with a lead nucleus. Each lead atom normally has 82 electrons, but researchers stripped away all but one in the experiment, giving the particles an electric charge. Previously, the LHC had accelerated only protons and the nuclei of atoms, without any electron hangers-on. Scientists hope the successful test means that the LHC could one day be used as a gamma-ray factory. Gamma rays, a type of high-energy light, could be produced by zapping beams of ionized atoms with laser light. That light would jostle the atoms' electrons into higher energy states, and the accelerated atoms would emit gamma rays when the electrons later returned to lower energy states. Existing facilities make gamma rays from beams of electrons, but the LHC might be able to produce gamma rays at greater intensities. More powerful beams of gamma rays would be useful for various scientific purposes, including searching for certain types of dark matter - mysterious particles that scientists believe exist in the universe but have yet to detect (SN: 11/12/16, p. 14). The gamma rays could also be used to produce beams of other particles, such as heavy, electron-like particles called muons, for use in new kinds of experiments.